What do you get if you cross a turbo LS V8 airbagged '65 F100, a mild custom built-for-export '55 Thunderbird, and the brand-new Jeep Cherokee? 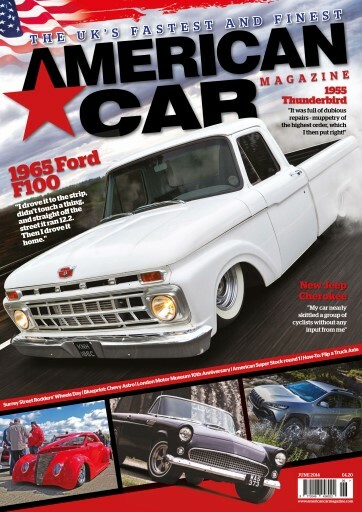 You get a idea of what to expect in the June issue of American Car Magazine, along with loads more from lowering a truck by flipping the axle in How-To, to coverage of Surrey Street Rodders' 40th Wheels Day at their new venue, to getting some expert advice about the Chevy Astro and GMC Safari, to picking a cool gift for Dad on Father's Day, plus loads more in between. 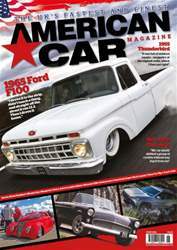 With apologies to Martha and the Vandellas, “Summer's here, and the time is right, for cruisin' in the street,” so get out there, grab the June issue of American Car Magazine, and enjoy.